Google Analytics and Search Console are free tools provided by Google, these tools are used when a website owner want to do SEO or online promotion of his site. 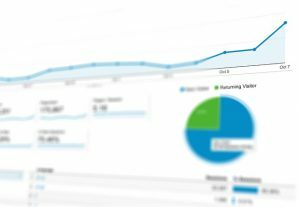 Google Analytics is a tool which is used to analyse the performance of the website by tracking the types of traffic and the quantity. Google launched its analytics tool in November 2005 with some basic features. However, Google has updated its features from time to time. 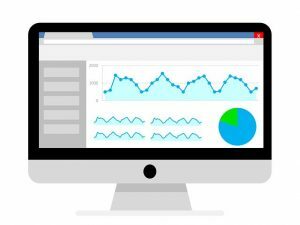 At present time, Google Analytics has many features, any verified user can see the custom traffic on the website for a particular day, week or time period. He can also compare the traffic between two time periods. A user can see the conversions attained by the website within a time period. A report can also be downloaded which shows various stats as per user’s requirement. This tool also gives the facility to monitor the live traffic on the website, which can be differentiated on the basis of traffic-source, location and the landing page. Click on the Sign In button available on the right corner, and add your property (website). Select your time zone, country and put the complete URL of the website. After submission, this tool gives a unique “.js-tracking code”, which needs to be pasted on the head section of every page of the website. That’s it, after following all above steps you can successfully set up the Google Analytics Tool for your website. There is also a feature to test robots.txt file which is used to define search engine what to crawl. You need to add all types of property for your site, every site has at least 4 property, http://www.example.com/, https://www.example.com/, http:// example.com/, https:// example.com/, After adding all these you can select which one is preferred URL to show in SERP. Before submitting a sitemap you can check if there is an error with the sitemap. You can check and set the crawl rate for your site. You can check the robots.txt file which can help you to discover those pages that are blocked accidentally. Check the list of internal and external link to the site. You can also check the crawl errors which are generated when Google-bot finds any difficulty to crawl a webpage. You can also select your targeted country. After adding your property, you need to verify it, there are four ways to verify, two are them are easiest ways. You can either paste the unique search console code into the head section of every page or verify your property by selecting “verification through Google Analytics”. In order to verify with analytics tool, you need to sign in through the same account. Once followed above steps, you are ready to go.